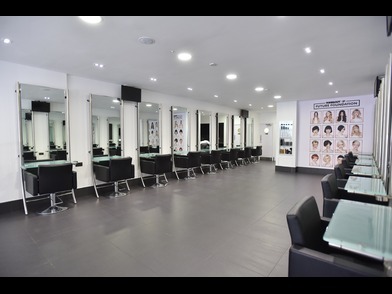 TONI&GUY Southampton offer clients the ultimate ‘salon experience’ in a warm, friendly and stylish environment. Our highly skilled and talented Stylists and Technicians provide the client with wearable hair that’s as individual as they are. TONI&GUY Southampton offers the Nano Brazilian blow-dry, a semi-permanent blow dry designed to de-frizz hair whilst dramatically improving its health, condition and shine. Hair will be sleek, smooth and straighter. We also offer Racoon extensions, which are the perfect way to get gorgeous, glossy colour or add body and volume for your style. TONI&GUY Southampton use and retail the exclusive haircare range label.m. We are also official stockists of GHD and Sebastian Professional. For a free style consultation please contact the salon today. Jason has made me feel so much more confident after sorting my hair out after an extremely bad layered cut from another salon recently. He really took his time trying to find the best solution to the problem, and although he thinks it may need one or two more cuts to achieve a better result with the layers - I could not be happier with how it’s turned out. I’ve been coming to Hannah for years because she is amazing! She listens to what I want but is honest about what will suit me and is achievable. I wouldn’t get my hair cut or coloured anywhere else. No complaints regarding cut/colour or blow dry but my top was soaked during the washing off of my colour which was less than ideal I fed this back to my stylist who has apparently dealt with this issue. The staff is very friendly and it seems that they know what you really want. I have my hair cut by Katie, she is very nice and friendly and she did a very nice job, she did just what I wanted. Thank you. Loved my haircut! Jason encourages me to try something a little different and go a lot shorter than I otherwise would, and I loved the results. Jason’s attention to detail, impressive skills and warm personality will definitely keep me coming back to T&G ???? I was totally in love with Toni and guy till I went to do Balayage, the stylist was ***** who didn’t know what I want at all .By showing her the pics she still mess up my hair , as it looks like a straight dye instead of a proper Balayage . First she did the bleach and Toner which was a total disaster and I had to ask her to change by showing her the colour I asked before .so she decided to change after the whole blow dry as I have pretty long hair .... after 4 hours I got a little bit of the shade in my hair I wanted and it looked good with the blow dry but when I came home and washed after my hair doesn’t look good at all and it doesn’t look like a balayage at all just a straight dye ... totally disappointed with the service and also the price they tell you in the price list is 80 for the balayage and I have long hair so she asked it would be £10 more I said okay but they charge you £20 for the toner which should to be written in the prise list coz you can never do the colour without toner ,at the end they charge me £110 for the balayage , as I would mind paying if my hair would look good as it doesn’t . She’s done exactly what I was asking for. Michelle always fully understands what I’m looking to achieve/work towards and spends a lot of time being very thorough and precise. To such an extent that my resulting cut continually results in strangers going out of their way to compliment me and ask where I get my hair cut!